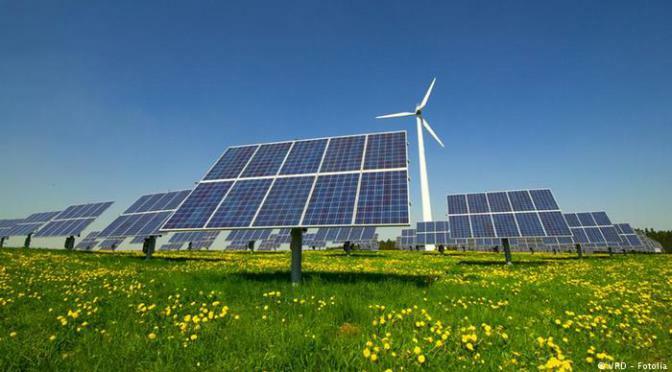 “Sustainable Scenario for the Vietnamese power sector until 2050”, a report by WWF-Vietnam and Vietnam Sustainable Energy Alliance (VSEA) says that 100 percent of Vietnam’s power could be generated by renewable energy technologies by 2050. This would significantly reduce carbon dioxide emissions linked to climate change. Dr Du Van Toan from the Marine and island Research Institute cited a report of IRENA (International Renewable Energy Agency) in 2017 as saying that the wind power capacity around the world has increased rapidly from nearly zero in 1980 to 60 GW in 2005 and to 500 GW in 2016, or 20 GW a year. Under a Prime Ministerial decision, Vietnam will develop wind power, which now accounts for inconsiderable proportion in the total electricity output, to 1 percent by 2020, 2.7 percent by 2030 and 5 percent by 2050. Vietnam is listed among the countries with biggest potential for wind power. The central coastal areas, including Ninh Thuan, Binh Thuan and Vung Tau, where wind speed is 10 meters per second and wind power density is equal to the world’s highest density (over 1000 W/m2) are ideal areas for wind power development at the height of 100 meters. By the end of 2017, the total wind power capacity connected with the national grid had reached 197 MW, generated by wind farms in Quang Tri, Ninh Thuan, Binh Thuan and Bac Lieu. Of these, the Bac Lieu Wind Farm (first and second phases) with the designed capacity of 99.2 MW and 320 million kwh per annum is the largest. It is expected that in 2018, the installation at the 142 MW Bac Lieu 3, 100 MW Khai Long and Ca Mau 100 MW will be completed. The other projects will be completed in 2019 and 2020, including Trung Nam – Ninh Thuan (90 MW), Soc Trang (99 MW) and Hanbaran – Ninh Thuan (117 MW). A series of other projects are on the go, expected to be implemented in 2025-2030. These include nearly 70 projects in the provinces from Tien Giang to Kien Giang with the installation capacity of 7.6 GW, the projects in Binh Thuan offshore area with total capacity of 1.2 GW and some smaller ones on the mainland. Thailand’s largest solar energy company, Superblock Pcl., plans to invest $1.76 billion to install 700 megawatts (MW) of wind farms in Vietnam. The second phase (360MW) will also be built in these three provinces and construction will begin when the first phase concludes. Jormsup Lochaya, chairman of Superblock Pcl. said that the construction of these projects has already begun and expects the sites to be operational by 2020. Vietnam’s population is very young and the growing economy and industries will increase power consumption by 10 per cent annually, making it an important market. “Ho Chi Minh City and Hanoi have similar problems and Vietnamese people want clean and cheap energy—this is driving the renewable energy growth,” Jormsup said, adding that costs are much lower and that the Vietnamese government policy on renewable is clear. Financing for the Vietnamese projects will come from its turnkey partner, a state-owned Chinese construction company, and the sites will be built on land leased for 49 years. The area is near existing transmission lines, the remnants of a stopped coal-fired power project. Jormsup said Superblock was considering additional investment in a 50MW solar farm in Vietnam and would make a full decision by the second quarter of this year. Next to Vietnam, Jormsup said Superblock plans to expand wind and solar capacity in Cambodia, Laos, Myanmar, the Philippines, Indonesia, and Malaysia. The company is targeting a revenue growth of 25 per cent each year and to have overseas revenue contributions climb to 20-30 per cent. Thailand is the biggest solar power producer in Southeast Asia, having broken into the global top 15 in 2016 with a capacity of more than 3,000MW, according to the International Renewable Energy Agency (IRENA). Cong Ly kicks off two more wind power projectsPhu Yen province receives wind power mega projectB?n Tre approves Nexif Energy’s wind power projectWind power projects may take to sky through FiT hikeTra Vinh gives licence for wind power projectBac Lieu: Foreign investors eye wind power projectsEnfinity wind power project to start construction in October 2018Wind power holds key to a sustainable energy future. Regarding the wind power production cost, analysts say renewable energy is now the cheapest power source available. Lazard, the investment company of Bloomberg, in its February 2017 report said wind power cost has dropped by 66 percent since 2009 from $140 per MWh to $47. Meanwhile, the minimum cost of coal-fired and gas-fired electricity is $63 per MWh on average. The investment in wind power globally has exceeded $100 billion a year.